WEST LAFAYETTE, Ind. — Purdue students will receive two to four surveys this semester as part of the university’s efforts to participate in the national Census and learn student opinions on issues related to campus life and educational opportunities. The surveys will each be sent independently because of their timing and specific intended audiences, Mukerjea said. National Survey of Student Engagement, which will focus on programs and activities that benefit the educational experiences and personal development of students. Distribution started Feb. 3 and will run through April 6 by e-mail. The survey will be sent to first-year students and graduating seniors. Sponsored by the offices of the Provost and Institutional Research. Student Importance and Satisfaction Survey, which gives students a voice in shaping what services are available and how they are delivered. It drives strategic planning for 18 departments, including dean of students, recreational sports, housing and food services, financial aid, and registrar. Distribution is March 1 to April 9 by e-mail, and it will be sent to all students. Sponsored by the Office of the Vice President for Student Services. The Student Success during the Freshman and Sophomore Years at Purdue University, which will focus on students’ plans to return to Purdue and their experiences with courses, activities, study habits, campus resources and other success-related aspects of the university. Distribution is mid-April through early May by e-mail, and it will target first- and second-year students. Sponsored by Student Access, Transition and Success Programs and the Office of Enrollment Management. 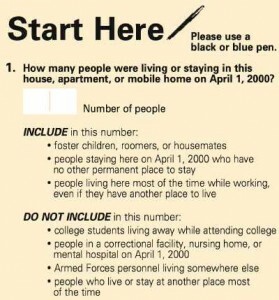 U.S. Census 2010, which is the federally required survey of residency information that is required every 10 years. The 10-question survey will be sent to all students by mail starting March 1, then group counts at places such as residence halls and sorority and fraternity houses will begin April 1.